At Easy Manifest we understand that every business is unique and we strive to offer a level of service to meet your specific needs. 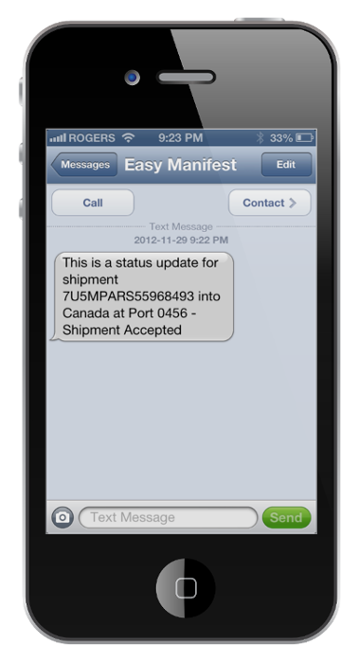 The eManifest system is the perfect solution for companies who have incorporated modern technology into their systems. If you are looking for a more traditional approach and are in need of a partner to submit your electronic manifests for you,please review our Email/Fax to eManifest option here. 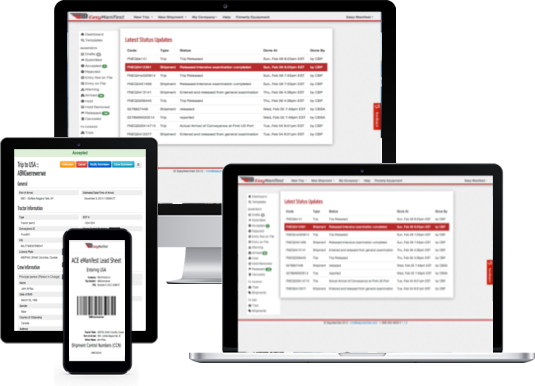 For larger companies who are looking for a high-level of customization and a seamless solution for their existing customer base we offer a “white label” solution. Incorporating your branding and built for your specific needs, the white label option is the premium solution for consulting groups and other consolidating partners. 24/7 English and French support representatives available by phone, email and live chat to assist you in submitting and managing your eManifests. Why wait until you get to a truck stop to check your eManifest? Drivers can check the status of eManifests on any web-enabled smartphone or tablet. Built using the latest web technologies, Easy Manifest was designed to help you complete eManifests quickly, efficiently and with fewer errors. Subscribe to e-mail, text message and fax notifications to get real-time status, PARS and PAPS updates - all included in our low monthly price. US & Canadian programs share a common look and feel. 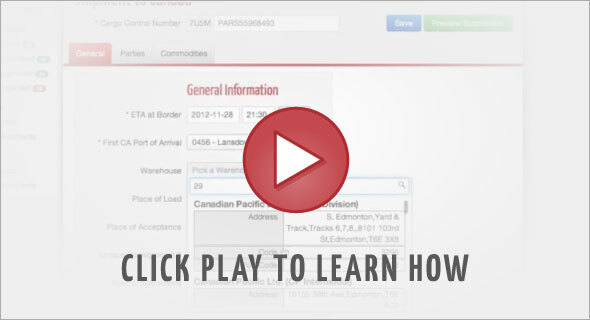 Equipment and drivers are shared between both programs so you only have to maintain one data set. 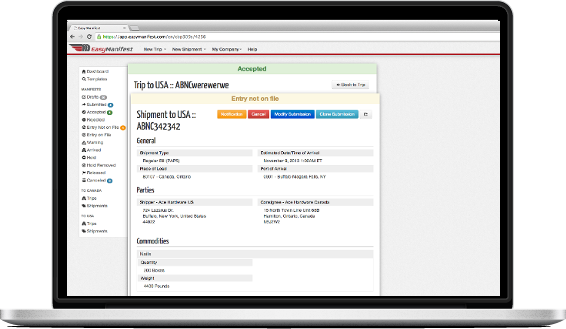 Email or fax trip and shipment eManifest information to brokers, importers or other parties automatically from within the application. Smart templates allow you to save and re-use commonly entered information like equipment, trips, driver and party information in your eManifests. Easy Manifest never sleeps. The system is available 24/7 and all of your data is encrypted and stored securely in North America. © 2013-2014 Easy Manifest. All rights reserved.